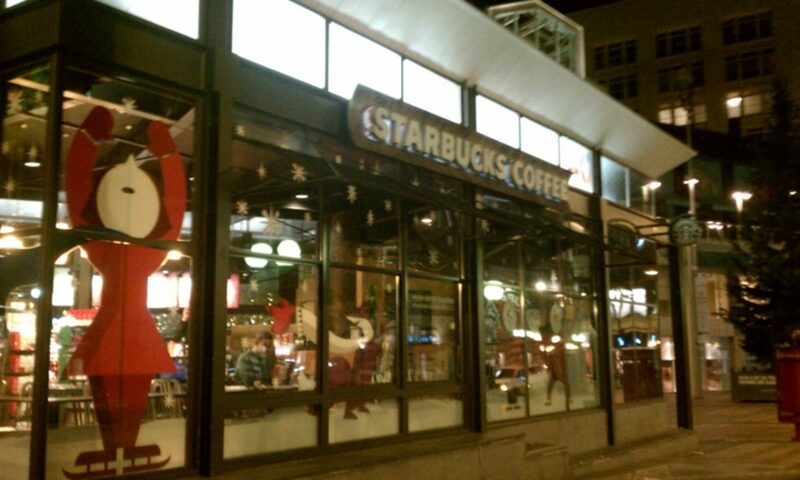 Today is the day that Christmas launches in Starbucks everywhere in the U.S.! There are re-usable cold tumblers, and they come in “Tall” size now! Now that is something I will definitely use. I’ve heard that the straw on the tumbler changes color. (Someone please correct me if I have got that wrong.) Christmas Blend whole bean is back in the stores, and comes in a decaf version or in the Via Ready Brew format. The Espresso Roast version of Christmas Blend is back too. There are lots of tumblers, and some mugs too. There is a smaller sized mug which seems to have some sort of airplane on the handle. You can buy a variety pack of Via Ready Brew. There are small ornaments for your Christmas tree which look like the paper cup. Several new holiday-themed Starbucks cards are here, including one that looks like a gift tag. The holiday trio of cocoa is here too – a gift set of three different instant hot cocoa flavors. 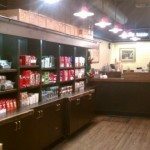 Joy tea by Tazo returns to the stores too. I want to mention that today is the day that the Caramel Brulee Latte returns. This drink was first launched November 17, 2009. I have a weak spot for it. I think my problem is that I really like the crunchy topping that goes on top of the whip cream. Starbucks with a Clover brewer launch Ethiopia Harrar and Aged Sumatra today. Now that is pure wonderful. Both are superb, and will likely be sold out fairly quickly. A stuffed St. Bernard with a mini-pack of Christmas Blend would have made sense and would have been sooooo cute!! That would have sold like hot cakes. And there’s no reason why they couldn’t have made that work. 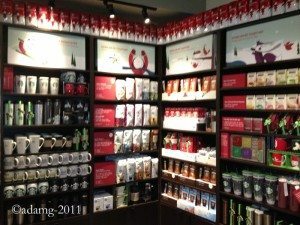 We may never have the year of Italian Christmas pottery back at Starbucks, but they still can produce lots of fun merchandise that recalls the romance of the Starbucks Christmas Blend history and tradition. Right now, I am still having some difficulty producing photos for my blog due to technical difficulties with my camera, so I definitely owe an extra big thank you to the partner who helped me out with a couple of the merchandise photos. Thank you! It looks like a fun set of Christmas merchandise. I’ll have other blog posts later on that talks in more detail about some of the things mentioned here. 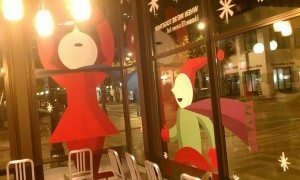 I just wanted to say “hello” to Christmas 2011 at Starbucks. I have to apologize that this is a bit of a sloppy post. Hope you enjoy all the photos, and as always, feel free to comment below. Talk about anything holiday related! 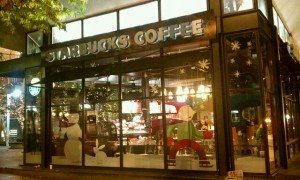 🙂 Happy Christmas at Starbucks launch day! Starbucks buys Evolution Fresh - Melody reviews some of the new 'coming soon' juice offerings. I love Christmas at Starbucks so much! It launched in Canada on Nov 2nd (I think) and I couldn’t WAIT. I always think the stores look so cozy done up for christmas. My local stores been getting this stuff slowly over the past week since the holiday cups came. On a side note, I noticed some new tumblers that come in tall, grande, and venti sizes and it looks like they are meant to draw on? I end that with a question mark because im not sure exactly how they differ from the other tumblers, because they look the same. Also as I’v mentioned in past posts I really hope they reintroduce the really high quality hot chocolate that was shavings. Lastly the Caramel Brulee Latte was probably my favorite drink last year (along with the frappuccino) Im so happy its returning. And two new minis – chocolate whoopie pie and peppermint cake pop! The tall cold drink cups are not customizable (are like the first version) but they DO have a color changing straw – green stripes appear on the straw. The mugs with the plane on it are part of a collection for our most popular core coffees. There is one with a vespa on it, one with the sun from morning blend. I am excited for the home cake pop making kit. I shall be getting this during partner week! The pictures of the holiday merchandise look great! Can’t wait to get done with work and hop on over to my local store to check it out. 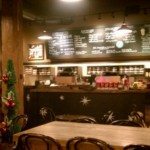 Funny you should post this because at my local SB today we noticed the new holiday merchandise but did not see any Hanukkah items. Also, these pics are great and show that the design team at these stores thought out how to successfully place the items. 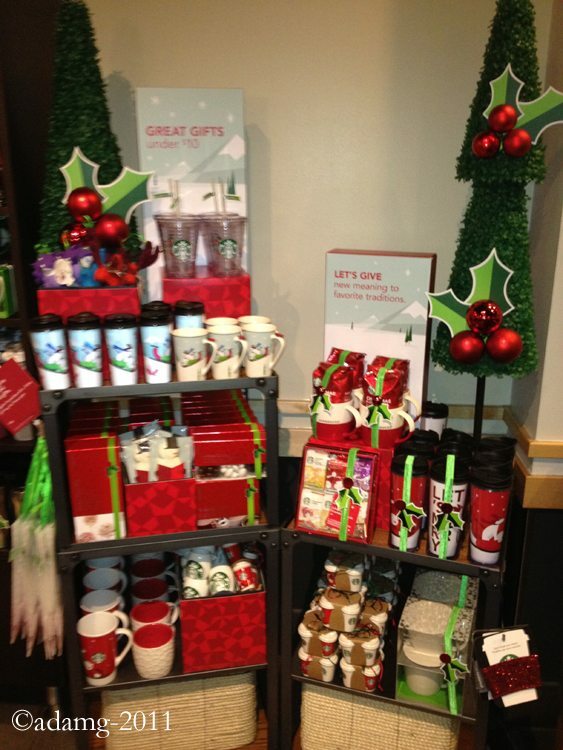 Our first reaction to the new holiday items was it looked haphazard and placed on shelves with no effort or thought. So much to look at this morning. Looks like it is going to take me a few mornings just to get through all the merchandise. One fun thing I did find in my email today was the “Cup Magic” app for iPhone. Silly little bit of fun for Christmas. I missed the launch by hours. Left the US today. Would have stocked up on decaf Christmas Blend. Sounds like some of the US merchandise is different than Canada’s. I don’t believe we have a mug with a plane on it, and am almost positive we don’t have cold tumblers. (which makes sense considering our climate) I’ll have to double check tomorrow. I love Christmas Blend. I can’t wait for them to start offering it as the bold pick — or to try it from the Clover (my store didn’t have the Clover this time last year). I bought boxes of the Christmas Blend Via last year so I’d have some past the holiday season. @Melody – they have an ornament version of the white siren mug you use in your twitter profile picture. 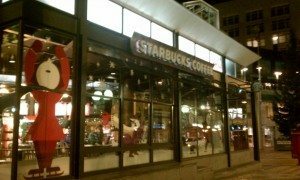 @Patrick – Can you get decaf Christmas Blend overseas? 🙁 Seems odd that it would be a US only product? @CD – Hey, odd question but did you get a survey about your Via purchasing habits from the Starbucks card program. Thought it was a little long, but I did take the survey. And then I got a survey receipt yesterday for MyStarbucksVisist.com yesterday – Those seem to be printing out a little more often than before. Second one I’ve gotten recently. @Kaori – I didn’t even notice the sleeve until you mentioned it. The re-usable sleeve looks good in red shimmer! @eric Wow! You were lucky!! I downloaded the app too, but did not win anything. Did anyone else win one at your office? I tried the Peppermint brownie cake pop yesterday, it was good…but I could have done without the crystallized sugar on the top. I tried to scrape that off but keep the peppermint candy pieces. I was not very successful…but it was still yummy! Yay! Christmas ar Sbux!! did not get ino any store yesterday but will be today! have never been a fan of Christmas blend, altho I thought last yrs was better than usual. I AM a fan of Thanksgiving blend……already gone thru almost 2# at home. will be fun to go in and see Christmas today! (I don’t think you mentioned: was there a “bearista bear”???? or only the dog 🙁 ???? thanx. also, I will miss (sounds like they are not here, replaced by the “cake pop”)..the peppermint brownie! I LOVED that…….even overtook my love for cranberry bliss bars…esp. after they changed them a bit. will report back later on what I see……. 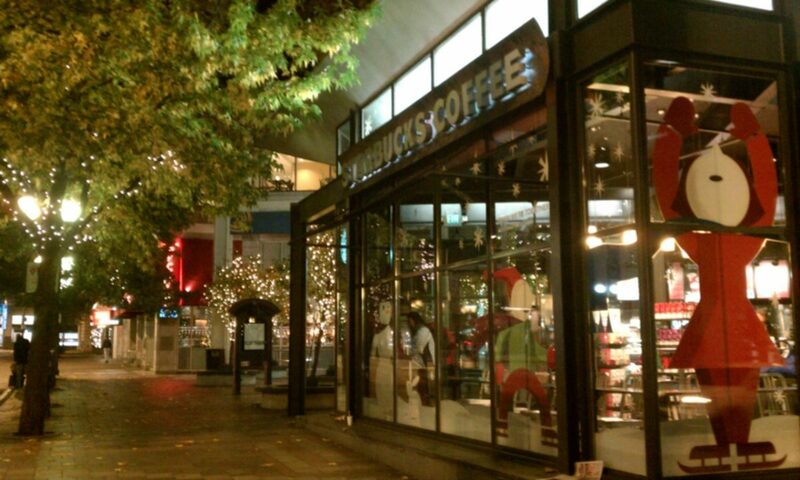 oh, btw, I had aged Sumatra by Clover last week here (Streets), It was delish…. I agree denise, I LOVED the peppermint brownie last year. The cake pop was good, but nowhere near as good as last years brownie. In the UK the only decaf we have is Espresso Roast (whole bean) and Italian Roast (VIA). I wonder if the chocolate whoopie pies you have now are similar to the ones we discontinued those at some point over the summer. I looked at the cold tumbler straw this morning and it does say it changes color! I was looking around again at the display at my local SB and I think perhaps one of the reasons it looks so out of place is that the amount of floor and shelf space is not significant. Given the size of the store it is really hard to fully appreciate all the new merchandise. I did notice a new key chain rewards card but was a bit disappointed it was in a Xmas theme. Has anyone seen any Hanukkah items? @melody – no survey, and no receipt surveys in a long time. Just need a clover closer than Streets of Woodfield – Deer Park would do fine. What are your thoughts on it??? My */R only had about 6 left after I purchased some. Are there still a lot in Seattle? Do you prefer the spicy aged Sumatra or sweet Harrar? Just wondering. And I have to comment on the new shelves. I LOVE the new retail shelving units. It revolutionizes retail/coffee displays! Beautiful! Kudos to the design team for putting that all together! Another little note about the design team… (sorry for the double post)… kudos for the repetition of design from Tribute Blend. I haven’t heard anyone really mention this online, but so many of the same prints are being reused and I simply love the consistency of it. i.e. the crown-like/star-like pattern used for the background of the Christmas Blend packaging. and the wavy hair-like pattern on a few of the tumblers. Everything is so… thoughtful. @denise! They DO have bears. They are wearing green down-like coats and have fur hats. And corduroy boots I think. If they are out in your area and you want me to pick one up for you, let me know. I have a ton of comments to reply to but I just wanted to say that I tried the Peppermint cake pop today. Wow that is good – definitely better than any of the previous cake pops! I have to disagree about the cake pop. It’s definitely good, but it’s very very sweet. I much prefer the tiramisu. ok, another attempt at my ramble! 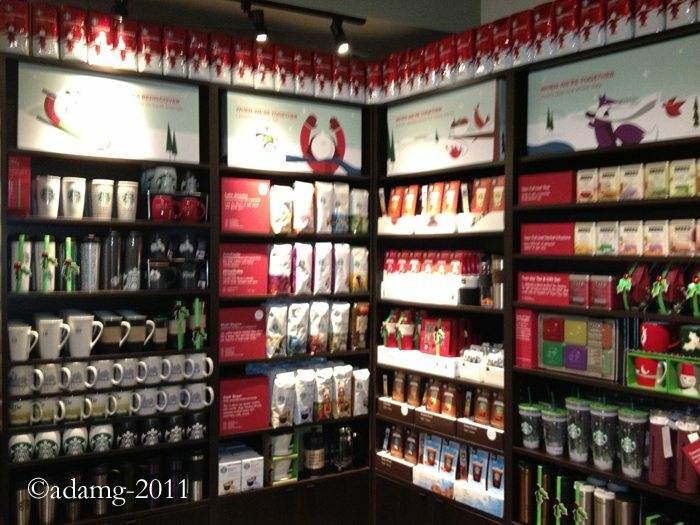 I DID get to (not my ‘regular’) Sbux yesterday and lots of Christmas. I did have a cup of Christmas Blend…to go with a freind’s bday cake….not my favorite and, I think, less-good (?) than last yrs…which I thought was kind of ok….still not a fave. I’m about to end my 2nd # of Thanxgiving blend…which I think is very good. better shut up before I lose this post, too! 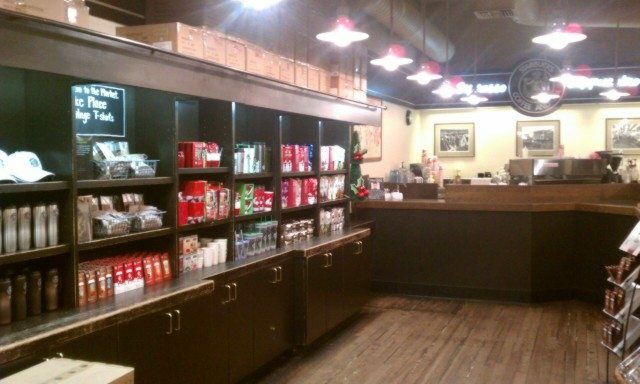 Have to get to my regular store today….may even indulge in a peppermint mocha WITH WHIP!!!!! between 2 (or 3?) and 5P today and get a free drink for a friend…. oh! I really did like those little (8 or 10oz) holiday tumblers! very cute, and something I don’t need or need for anyone else. I like them, tho. oh! ps: I DID see those NOT chocolate frosted peppermint cake pops. have not tried them yet but I know for sure, they will NOT come close to the peppermint brownie……which was such a hit!!!! why don’t they listen???? they changed up the cranberry bliss, my previous fave, then I got onto the peppermint brownie last yr and I think it doesn’t get much better than that! too bad…. and well i am sad ther eis no turkeys, come on thanksgiving isn’t over! I saw the bear this morning but was surprised that it was not displayed as other bears previously have been displayed and it was in a jumble with other items. Certainly, if I was not standing near it waiting for my drink I probably would not have seen it. Curious from other people at their SB locations, how are the bears displayed? But denise, it’s a brownie, not cake. Brownies are supposed to be dense like that! I understand what you’re saying though because the peppermint brownie used to be my favourite. We didn’t even get it here last year. Looooove the Christmas Espresso Roast again this year, but agree that the regular Christmas Blend is different and not exactly to my taste – it seems less Sumatra-y than previous years. HOWEVER…we recently did a coffee tasting where we paired it with a cinnamon scone and then added some orange marmalade to the scone. DELISH! If you have the Magic Cup app, see if scanning the stuffed dog (or the tag) triggers anything. I loved seeing the Christmas decorations when I stopped in Wednesday. My favorite item is the coffee cup ornaments 4-pack with the old and new logos! I was disappointed to not see any peppermint brownies today. I saw the chocolate whoopie pies, but I really wanted a brownie. Did anyone else see the Cake Pop kits! It took me a while to reply to this post because I’ve been sick and on Friday, went to the first store with a lot of Christmas merchandise (A lot of the smaller Boston stores don’t have that much because of space). The one thing I am really excited for is the iced cups in tall size. I have a venti and grande iced cup so this will complete the collection and use it also for noncoffee things like smoothies (The starbucks straws are the thickest and strongest of any cup that I’ve ever seen). Like many others, I loved Thanksgiving Blend as it is usually one of my favorite coffees of the year. I might have to buy a few more pounds while they are still available. I tried Christmas blend brewed at a store and wasn’t a huge fan of it. Has anyone had it on the clover- wondering if tasted any different- I wished it was a little spicier or something. 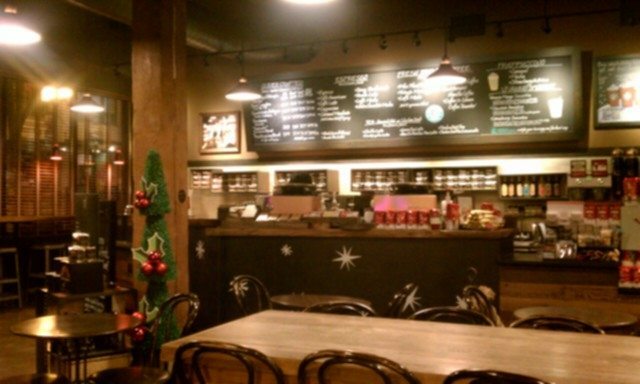 Lastly, I have yet to try the Christmas espresso roast- What do you all think of it? Also @mel- I love the tables and decor of First and Pike. Have looked at all the cool Christmas merchandise several times and don’t know what to buy first! I thought seeing it all and then just thinking about it would help. But no, I still want so many things! Mugs for my kids, ornaments for the tree, and just new everyday items like those slate colored mugs with the nice designs etched on. I really like the Breakfast Blend one the best…I think. I got my Ethiopia Harrar in the mail and it is my new favorite. Just wonderful! Do you know if Starbucks has Christmas city mugs this year? I know previous years they’ve gotten them in NYC, SF, Chicago, Seattle, and Hawaii, but AFAIK, last year they only had London and Paris. oh my gosh we love this blog! we posted it on our facebook page. If you are ever in the DC area please come see us!!! !